Washington's plan to boost its Sunni alliance in the Middle East may bear no fruit, as Turkey has shifted the goalposts and established an alliance with Iran, a powerful state and a key player in the Shia Axis. 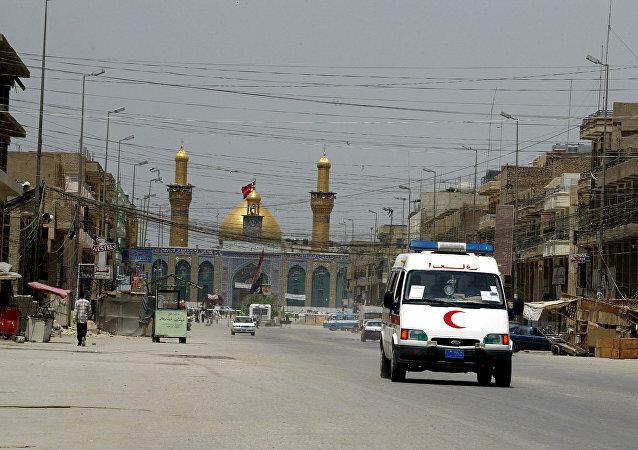 At least eight people were killed and another 24 wounded in car bombing attack in the Iraqi town of Karbala on Tuesday, Al-Jazeera reported. Exhausted by the ongoing strife, Iraq is teetering on the edge of political crisis: the Sunnis, the Shiites and Kurds are desperately trying to reach a compromise. Contrary to Washington's expectations, it is highly unlikely that China would join the US-led coalition against Daesh in the Middle East, and with reason, Dr. Christina Lin writes, predicting that Beijing will continue to support Damascus. US Secretary of State John Kerry's Plan B of de facto balkanizing Syria originates from the infamous 1982 Oded Yinon project aimed at dismembering the Syrian state, Syrian journalist Maram Susli unveils. Untold Story of Syrian Coup: Who is Really Behind the Plot to Topple Assad? Thanks to modern technologies one can easily reconstruct the story of Washington's conspiracy aimed at destabilizing Syria by exploiting the country's ethnic and religious divisions. United States Secretary of State John Kerry's much discussed "Plan B" indicates a familiar pattern of deep division over Syria among American policymakers, US investigative journalist Gareth Porter notes, adding that if US policy were a company doing business in Syria, it would have been bankrupt years ago. 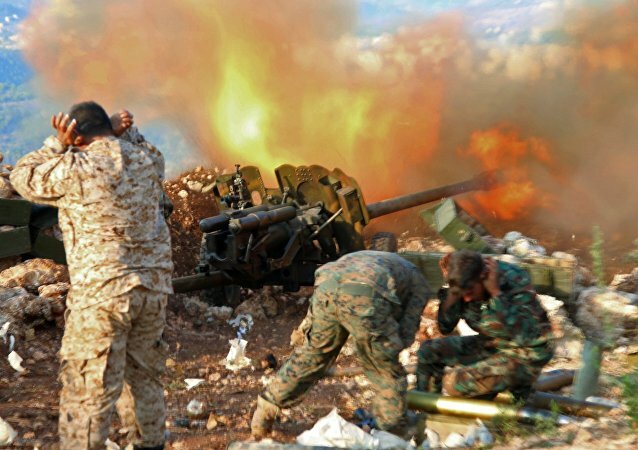 Why does the Syrian Arab Army remain the only force capable of defeating Daesh (ISIL/ISIS) and al-Qaeda in Syria? The answer is that it is resilient and pluralistic; it enjoys wide public support and curtails the spread of terrorism, Kamal Alam, a Syrian military analyst, notes. Bahrain will increase security measures Sunday on the fifth anniversary of Shiite protests in the country, the Bahraini Interior Ministry said Saturday. 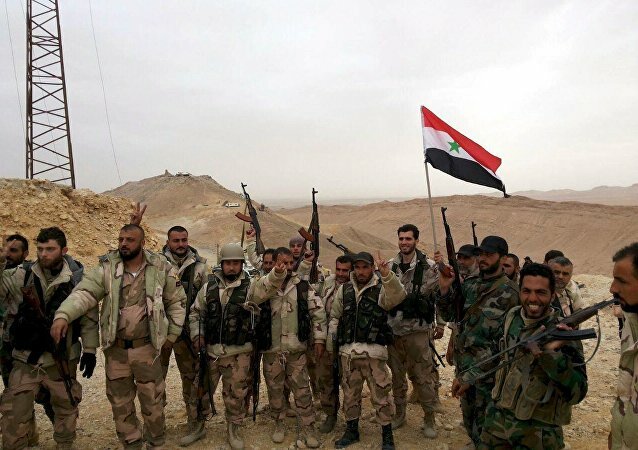 With the help of the Russian Air Force, the Syrian Army will be able to regain Syria's sovereignty, Ghassan Kadi, an expert in Mideast affairs told Sputnik, adding that the prospects of the Russo-Syrian military operation on the ground are good and looking good. By seeking to establish an Islamic caliphate, Daesh (Islamic State/ISIL) has thrown into question the legitimacy of the post-Ottoman Middle Eastern borders defined by European colonialist powers; is the Sykes-Picot agreement the root cause of the ongoing strife in Syria and Iraq and should the Middle Eastern boundaries be redrawn? What Did Pope Francis' Remark About 'Piecemeal Third World War' Mean? Is World War III around the corner? And what did Pope Francis mean when he referred to the world as "war-torn" and "filled with fighting"? Cracks Appear: Are Pillars of US-Saudi Partnership Trembling? US-Saudi relations are bursting at the seams: common political and economic interests the two countries shared for decades in the Middle East are waning. Will Saudi Arabia seek war with Iran? Growing economic and political pressure may prompt the impulsive royal family to unleash a war against its longstanding Shiite rival, American author Daniel Lazare believes. Saudi Game of Thrones: What Lies Beneath Saudi Decision to Behead Nimr? What lay beneath the execution of Shiite Sheikh Nimr al-Nimr in Saudi Arabia? The beheading of the peaceful cleric has sent multiple signals: to Tehran, Saudi Shiite opposition and Riyadh's Wahhabi co-religionists, experts say. Syrian Chessboard: A Prologue to a New Phase of the 'War for Oil'? Are the Middle Eastern realms heading for a new war for oil? Saudi Arabia, Turkey and Qatar are interested in maintaining control over Syria's and Iraq's oil wells. 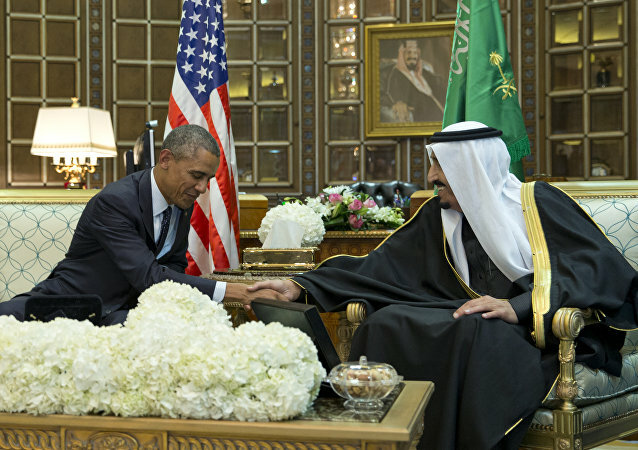 Bowing to the King: What Lies Beneath US-Saudi Friendship? The King of Saudi Arabia is one of the richest people in the world, and one of the most influential political figures in the Middle East, according to American historian and journalist Eric Zuesse, adding that maybe that is why US President Obama usually bows so deeply to the Saudi King. The execution of Shiite Sheikh Nimr Baqr al-Nimr has now sparked violence across the region, which may potentially escalate into a bloodbath of "biblical proportions," US political analyst Phil Butler warns, asking who benefits from the execution of the cleric amid the Syrian crisis. Although a relationship between Saudi Arabia and Iran has already been strained for several decades, the most recent conflict might flare up with new force and destroy the last remaining threads of stability in the Middle East, US political journalist Matt Purple wrote for the National Interest.